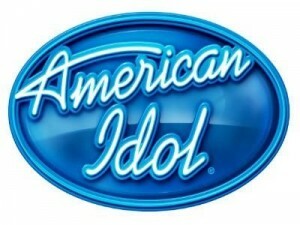 Its only been a couple of weeks since American Idol found its latest winner in that of Philip Phillips and now the hunt continues for the newest star with auditions for season 12 underway. Recently the well known faces of Idol, that includes Judges Randy Jackson, Steven Tyler and Jennifer Lopez, as well host Ryan Seacrest, made their first stop in Los Angeles, California at Dodgers Stadium. The Thursday morning event drew hoards of crazy fans and hopefuls all dreaming of a season 12 title and record contract. While there Seacrest attempted to maintain the crowds and keep everyone happy while auditions took place. Seacrest better be ready for the long haul seeing that L.A. is only the first stop on the Idol’s multi major city tour to find the next winner. Although it has revealed that some locations won’t get to meet Fox’s well known judges since producers of the series will be stepping up to make the decisions themselves. This coming June 14th the cast and crew are scheduled to arrive in San Antonio, Texas, the home of some notorious talent such as Waylon Jennings and George Strait. From there Idol will depart, making their way Charlotte, North Carolina on June 19th. After spending sometime in the heart of Charlotte, the competition series will be off and running to Newark, New Jersey on June 23rd before taking a small hiatus during the 4th of July holiday. After that the gang will then arrive for auditions in Chicago on July 20th, followed by a stop in New Orleans on July 17th before ending their auditions tour in Oklahoma City on July 20th. It sounds like Idol will be visiting some great places that have been home to past performers of the show such as Scott McCreery and Clay Aiken of North Carolina. While the show looks to narrow down the possibilities to discover the winner of season 12, American Idol betting odds available at Intertops Sportsbook are already in with a male winner and a female winner both set at -115 to win. As fans will remember last season the odds for both parties where fairly even until the final results drew closer with many routing for a male winner. Judging by America Idol’s history of the show this will most likely happen again. The last time a female contestant won was back in season 6 when Jordin Sparks took home the prize. Either way I am looking forward to another great season of hilarious auditions, undeniable talent and some heated competitions. Are you ready for season 12?